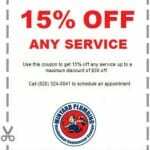 Faucet Repair, Morganton, NC | Minyard Plumbing, Inc.
We have experienced and knowledgeable technicians on our staff who can find the leak and perform faucet repair in Morganton, NC quickly and efficiently. Faucet Repair in Morganton – According to the U.S. Environmental Protection Agency, a dripping faucet can waste up to 10,000 gallons of water per year. This translates to as much water as you would need to do 270 loads of laundry. Not only is this a waste of precious resources, but it is also wasteful for your wallet because you will end up spending a lot more on monthly water bills to accommodate this unused water. Leaking faucets can also lead to water damage, especially if the crack is large enough to allow a sudden onslaught of water to gush out. There are a couple of ways you can check if one of your faucets is leaking. Try checking the water meter before and after a period of no water usage, or monitor your water bills between months. 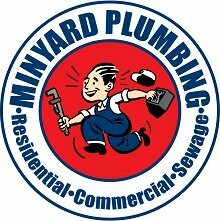 If you do have a leak, give us a call at Minyard Plumbing. We have experienced and knowledgeable technicians on our staff who can find the leak and perform faucet repair quickly and efficiently. With more than three decades of experience, our company is one that you can trust for excellent work at a fair price. Whether you need faucet repair, toilet installation, a new water heater, or any other plumbing-related service in Morganton, North Carolina, we are here to help. If we determine that faucet repair isn’t a good option, we can also provide you with pricing on replacement and installation. We are a family-owned company with team members who live in your local community. Each of our staff members is trained in plumbing services, and we are also fully licensed and insured for each of the services we provide. Please contact us today for more information. At Minyard Plumbing, Inc., we offer high-quality faucet repair services in Morganton, Hickory, Bethlehem, Conover, Lincolnton, Newton, St. Stephens, and Taylorsville, North Carolina.